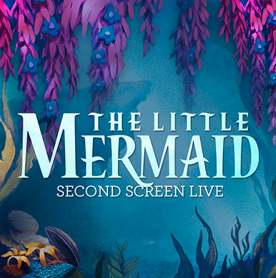 This screening will be interactive so we encourage you to bring your iPads and download the FREE “Second Screen Live: The Little Mermaid App” to interact with the film, play games, find hidden treasure, sing along and compete with the audience for the chance to win great prizes! There will be no security at this screening. Tickets will be available for pick up at the box office on the day of the screening.